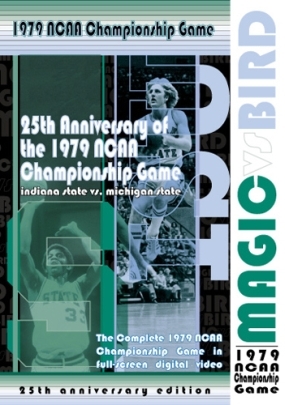 This DVD cntains the complete 1979 Michigan State vs. Indiana State game, with coverage from NBC Sports, without commercial interruptions, presented in full-screen (1:33:1) digital video. Chapter points on the DVDs main menu allow viewers to jump directly to the action, half by half. Now you can own the game that brought Magic Johnson and Larry Bird for the first time and gave Michigan State the school's first NCAA Championship!